The beautiful LED wall light Ginkgo is an elegant artwork on any wall and not only serves as a light source due to its extraordinary optics. 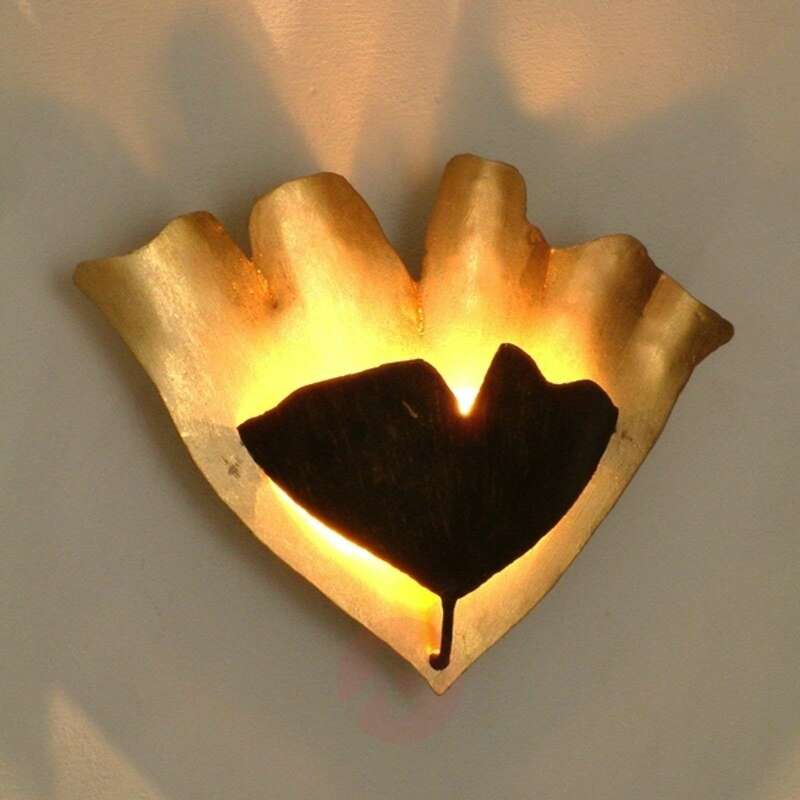 A large, golden ginkgo leaf forms the basis of this interesting light. The two light bulbs are hidden behind a second leaf placed in the middle.